Clinical trials are research studies that test how safe and effective new drugs, treatments, and devices are. Health-care providers find patients with specific characteristics or health problems to test the product. All clinical studies are reviewed by special committees called institutional review boards (IRBs) to make sure that the trials are safe and ethical. The public hears often about research that claims to show a connection between a drug, object, or behavior and a disease. Sometimes studies get different results. This can be confusing to the general public and often to health-care professionals. This can be caused by differences in the way the study was set up (designed) and/or the way the study was carried out. This information sheet outlines examples of the three major types of clinical studies that are done and their advantages and problems. 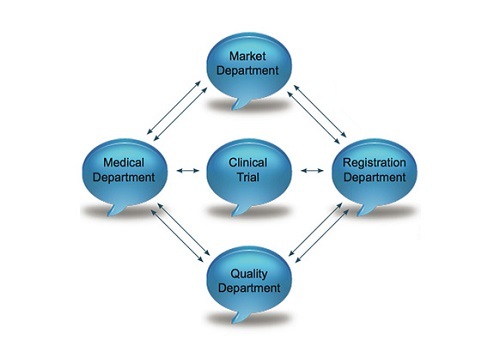 One major type of clinical studies is the randomized controlled trial (RCT). It is the “gold standard” of clinical studies. It is a prospective study. Information is collected as it happens instead of from medical records. An example of an RCT would be studying menopausal women without osteoporosis. Women who don’t take estrogen are randomly (like the flip of a coin) assigned to a group. The study group takes pills containing estrogen; the control group takes an identical-appearing placebo pill without estrogen. It is best when the pills are identified by the code. This way neither the researchers nor the study participant knows which group the participant is in (double-blind design). At the end of the trial, the medication codes are broken, and the number of cases of osteoporosis in each group is counted. This type of trial is more objective (has less bias) than other types of studies. The second type of study is the prospective cohort study. In these clinical studies, information is collected as it happens. For example, menopausal women without osteoporosis are grouped into women who use estrogen (subjects) and those who do not (controls). Medical information for these groups (cohorts) is collected for a period of time to see if either group develops more cases of osteoporosis. This type of study is more expensive, more cumbersome to do, and takes longer to complete than a retrospective study. The results of a prospective cohort study can be more reliable than results from a case-control study if there are enough study subjects/controls and the cohorts are similar. Also, the chance for investigator bias can be lower because the type of information that will be collected is decided during the study’s design phase. Both cohort and case-control studies are observational studies. That means that information is recorded, but subjects only receive breathe time they would have received anyway. 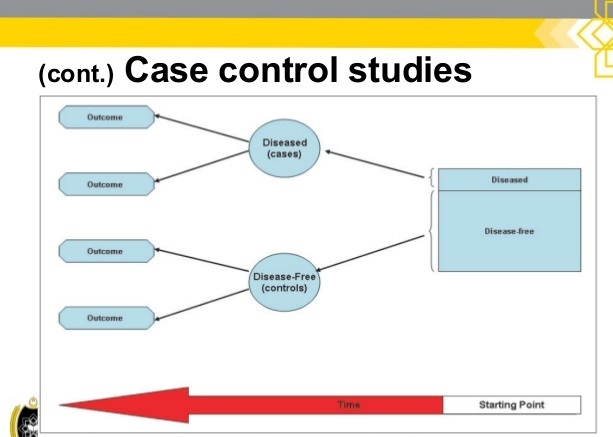 Case-control studies use the medical records of people who already have the disease or condition being studied (“cases”). These types of studies are retrospective. This means that they get the information from records after the events happen. An example of a case-control study about menopausal women with osteoporosis might compare records of menopausal women with and without osteoporosis (cases versus controls). This could show differences between the patients that are protected against osteoporosis, like those who use estrogen. The advantage of retrospective studies is that lots of records can be reviewed in a short period of time, even when rare conditions are studied. The downside to this type of study is that the results are only as good as the reliability of old records. Another possible problem is that the researchers know which records belong to cases and which belong to controls. This can influence the researcher to interpret the information in a different way, even subconsciously. This is called investigator bias. In any clinical studies, the number of subjects and controls included is very important. It is best to have large numbers of study subjects. This helps to show whether any difference is real or just a fluke. For instance, studying 10 people who smoke may show no more cases of lung cancer than in a control group of 10 nonsmokers. This small group does not have enough subjects to show whether lung cancer is caused by cigarette smoking. Before the study starts, statistical formulas can be used to calculate the number of subjects needed to show a significant result. Often, several research centers may work together to find a large enough number of study subjects. This multi-institutional approach also brings in multiple scientists, which reduces investigator bias. Different clinical studies trying to answer the same question may reach different conclusions. The answer to a medical question is usually not found in the results of any one study, but by looking at all the studies published on a subject as a whole.